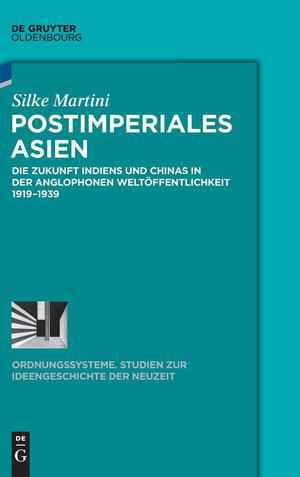 Silke Martini’s dissertation deals with anglophone debates on the future of China and India in the interwar period. In ten chapters, organised in four bigger units (two of them with the main topics on ideas on modernity and concepts of world order), she develops an international discussion by American, British, Chinese, and Indian authors. Each of the main blocs is subdivided into three different sections with topics ranging from nation building, economy and culture to world politics, ideas of cultural unity, and bigger geopolitical debates. Each of these parts is structured into sections on China and India, followed by short summaries and a longer conclusion at the end of each chapter. The alternation in the narratives makes the book quite readable. It ends with a lengthy conclusion, which introduces – in some way unfortunately – new theoretical approaches to the topic. The importance of her topic lies for Martini not only in its parallels to todays debates on the economic promises and the massive population of these two countries, it is also her point that both regions re-surfaced in some way during the interwar period with the new discipline of international relations, which was often connected with debates exactly on those areas. As Martini sees these debates as interconnected ones she does not separate “Eastern” from “Western” contributions. She does not clarify the selection of her sources in-depth, except that they are “international(ist)” authors—a point that comes up in the resume. While this demonstrates the global reach and interwovenness of some arguments, it makes it a little difficult to find the differences between Asian and European, conservative and liberal standpoints. While this creates a common discursive frame, it sometimes makes it hard to clearly contextualise the arguments. Here and there the individual background of the statements becomes a little bit blurred. This fact is connected to another problem: while Martini found rich material, her way of juxtaposing it leads to rather vague statements in the main parts, followed by strong judgements in the resumes, which are themselves not always supported by the short quotes made above (a point that changes over the course of the book). In the later chapters there are stronger conclusions. The structure of the book puts authors from very different intellectual strands together. For example on page 297 cosmopolitans like H. G. Wells share space with “völkisch” authors like the anthroposoph Rudolf Steiner. Note only the quote on this page could have been contextualised in the old debate on the efeminisation of the Asians , also complex interrelations in groups like the theosophs (p. 312) could have been elaborated in a broader scale, as many of the Western founders of this group turned to Eastern spiritualism, Buddhism in particular, because they were critical of the so-called Western decadence. Several works have elaborated on this awkward relationship between anti-modernisation, racism and exoticism. Furthermore, racism is strangely absent from this study, both Western (not so much) as well as Asian (much more). It would also have been interesting to hear some critical voices, both contemporary critics of the authors mentioned as well as of their overall political and ideological stances. Sometimes there are references to this as in the Chinese adversaries of Tagore (pp. 303-304), but here Silke Martini is lenient with these authors and does not stress enough their nationalistic viewpoints. Both Chinese and Indian traditionalists had exclusionary viewpoints of their own civilisations, which made them hard to integrate in more collaborative ideas of a new world order or a “spiritual restoration”. In the end she separates between an Anglo-Indian and a Sino-American sphere, a result in itself that is not so surprising, but not always supported by her own findings which demonstrate a more global public sphere. Here, she demonstrates how strong these four public spheres were interconnected, as Indians not only compared themselves with China, but also looked for the United States as an example for modernisation. Martini refers often to topics which have a longer tradition. The debates on how modern the “East” could be and on the decline of the “West” definitely had many forerunners in the late nineteenth century. Still, the book often offers enriching new perspectives and brings together a diverse strand of literature. Refreshing, even if quite late in the book, are the chapters were Martini discusses the more problematic revivalists, whose ideologies turned into more violent nationalism (for example the chapter 7.2.4 on “Greater India”). The books message is often fragmented: While in the chapter above Tagore is a cosmopolitan, even of the “Asian” strand, here, the problematic aspects of his thinking, especially the question of race (Aryanism) is very shortly mentioned (see footnotes 143, 146). Some passages on Chinese political possibilities (for example p. 343) read as if the current Chinese government took them as a handbook – an impression that historians today get quite often with the resurrection of nineteenth century nationalism. This is connected to the problem that Martini only uses publications in Western languages, mainly English. While she makes this clear in the introduction and also discusses its implications, it is still hard to see the Chinese standpoints, as it seems quite plausible that Chinese intellectuals argued in a different way to an international audience than to a Chinese speaking. The Indian case is different, as Martini herself states (p. 24). Important on this issue: Mrinalini Sinha, Colonial masculinity: The ‚Manly Englishman‘ and the ‚Effeminate Bengali‘ in the late nineteenth century, Manchester 1995. For Germany for example: Helmut Zander, Anthroposophie in Deutschland: Theosophische Weltanschauung und gesellschaftliche Praxis 1884 – 1945, 2 volumes, Göttingen 2007. Like the Indian journalist Saint Nihal Singh who reported for the Modern Review on Afro-American self-strengthening movements as an example for Indian modernisation. Andreas Weiß: Rezension zu: Silke, Martini: Postimperiales Asien. Die Zukunft Indiens und Chinas in der anglophonen Weltöffentlichkeit 1919-1939. Berlin 2017 , in: Connections. A Journal for Historians and Area Specialists, 08.02.2019, <www.connections.clio-online.net/publicationreview/id/rezbuecher-29028>. Copyright (c) 2019 by Clio-online, 'Connections', and the author, all rights reserved. This work may be copied and redistributed for non-commercial, educational purposes, if permission is granted by the author and usage right holders. For permission pl ease contact connections@uni-leipzig.de or hsk.redaktion@geschichte.hu-berlin.de.